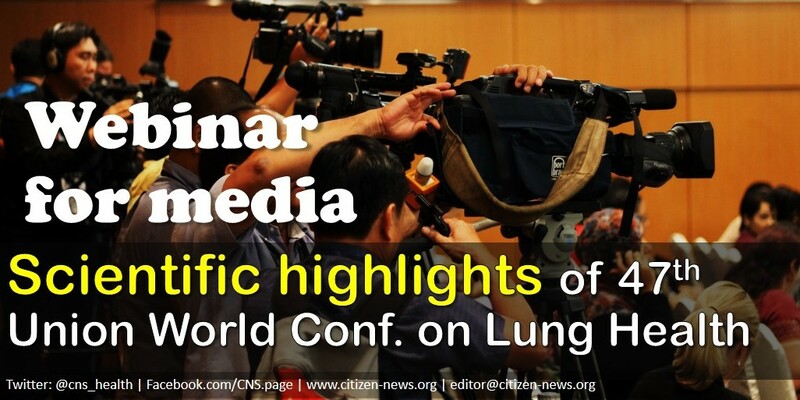 [Watch webinar recording] [Listen or download the audio podcast] We welcome you to register for an exclusive media webinar where experts from the World Health Organization (WHO) Global TB Programme and International Union Against Tuberculosis and Lung Disease (The Union) will share scientific highlights of the forthcoming 47th Union World Conference on Lung Health in Liverpool, UK. The theme of this conference is: "Confronting resistance: Fundamentals to innovation". This webinar presents a great opportunity to interact with the WHO Global TB Programme and The Union experts on the latest TB related science that will be presented at the conference later this month. Newest scientific updates on tuberculosis, drug resistance, or key findings of important studies which will be presented later at the conference, will be shared on the webinar. 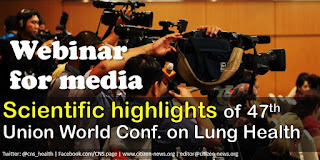 Experts from the WHO Global TB Programme and International Union Against TB and Lung Disease (The Union) will present and respond to questions live!